Charles T. Jax and Associates, P.C. "It's not what happens to you in this life, but what you do about it." Welcome To Charles T. Jax and Associates, P.C. Charles T. Jax, L.M.S.W., B.C.D., A.B.D.A., S.A.P., C.M.F.S.W. Is a Licensed Master's Social Worker, a Board Certified Senior Disability Analyst, a Substance Abuse Professional and a Certified Master Forensic Social Worker with over 37 years experience in practicing mental wellness and healing. In that time, Charles has had 70,000 hours of direct clinical experience. He has extensive knowledge and experience of human behavior as it relates to self and others. His ideas, beliefs, and teachings are of exceptional interest as they relate to self-worth, self-esteem, healing from within and the various circumstances which prevent us from living our dreams. Having dealt with his own life challenges as a paraplegic for 49 years, Mr. Jax leads a successful, independent, and professional life. He maintains a thriving private practice where he conducts individual, group, and family psychotherapy/counseling. He has served as Program Director for the pediatric (Closed) Head Injury Clinic at the Detroit Institute for Children and was Chief of Clinical Services at a major Residential Head Trauma Center in Western Michigan. 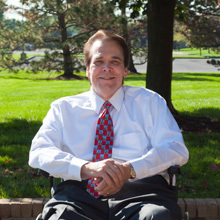 Mr. Jax has considerable experience in teaching and counseling for the disabled, as well as conducting motivational seminars throughout the United States. He is able to counsel, mentor and assist individuals in the problem solving process. Christina Jax Dadswell, LMSW, C-ASWCM, CBIS is a highly qualified clinician with multiple certifications, as well as extensive experience as an individual and family therapist with both Charles T. Jax and Associates, as well as Henry Ford Behavioral Health. She served for many years as the Clinical Director of a Head Trauma Rehabilitation program in the Metro-Detroit area. Ms. Dadswell is additionally an Adjunct Professor on the faculty at Wayne State University School of Social Work. Ms. Dadswell is a fully licensed Master Social Worker, achieved both her Bachelor’s and Master’s Degrees with Honors from the University of Michigan, Ann Arbor, which ranks as the #1 School of Social Work in the United States. Her internship/residency was completed at Henry Ford Health System - Behavioral Health. 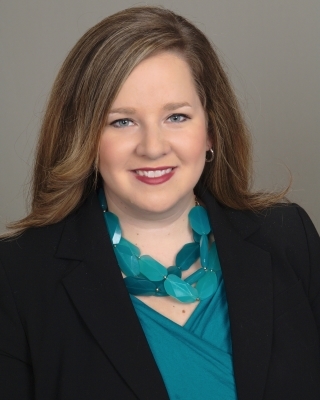 Ms. Dadswell has several certifications including being a Certified Advanced Social Work Case Manager, and a Certified Brain Injury Specialist with the Brain Injury Association of America. She has a certificate in Cognitive Behavioral Therapy, which is the most empirically supported and well-researched therapeutic technique. She is a member and volunteer of the Brain Injury Association of Michigan. With this unique combination of clinical expertise, Christina Dadswell provides the most complete, well rounded approach for clients needing psychotherapy rehabilitation for Depression, Bipolar Disorder, Anxiety Disorders including Post-Traumatic stress, Pain Management, Cognitive Disorders, Brain and Spinal Cord Injuries, and a variety of additional concerns. She is known for uniquely tailoring her approach to each client’s preferences and needs, and advocating for her clients in every way possible. She also has extensive experience in the field of case management for auto liability and workers compensation claims for adult and pediatric clients with Brain Injuries and Spinal Cord injuries, as well as other orthopedic injuries.